Nikola Tesla dedicated page. Nikola Tesla, The Genius of Electricity. born, living in America, great scientist and genius of electricity who granted us the light and civilised life with over 700 inventions and AC electric power we have been enjoying since 1895. by implementing Tesla's AC generators and polyfase distribution systems at the hydroelectric power plant on the Niagara Falls, giving the birth of the 20th century. Since, the very same system has been implemented all across the world giving us the electricity power, a juice of our lives, with a simply flick of a switch, we all so much take for granted. The Sun has been great Tesla's inspiration as the Sun inspires my music. Thank you Tesla, thank you Sun! Essential reading: "The Man Who Invented The Twentieth Century" by Dr Robert Lomas, Bradford University, Yorkshire. "I sit here surrounded by Tesla’s legacy: my electric-powered computer at my side in my study, lit by fluorescent electric light, heated by water pumped by an AC induction motor, listening to music broadcast on my mains-powered radio. As my scanner and Internet modem sit on desk, ready to send and receive pictures and messages round the world, I am using Tesla’s legacy. 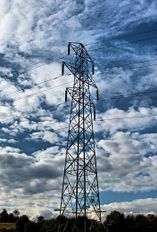 When you next see a line of electricity pylons carrying the power that grants you a civilised life, put one hand in your pocket and spare a moment to thank Nikola Tesla, the lonely, forgotten, long-winded, obsessive, brilliant man who gave this to you." 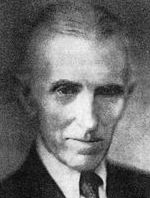 Tesla’s inventions include: Radio, The Hydroelectric Generator, AC Power, Polyphase System, Fluorescent Light, The Rotary Engine, The Bladeless Turbine, Radio Imaging - the precursor to radar…Tesla gave his greatest contribution to science and technological progress of the world as the inventor of the rotating magnetic field and of the complete system of production and distribution of electrical energy (motors, generators) based on the use of alternate currents. "I continually experience an inexpressible satisfaction from the knowledge that my polyphase system is used throughout the world to lighten the burdens of mankind and increase comfort and happiness, and that my wireless system, in all its essential features, is employed to render a service to and bring pleasure to people in all parts of the world. " Only a true genius and a truly beautiful human being could express their God sent mission in this way. Nothing else is taken for granted like the electric power likewise inhumanly denied, exploited, suppressed and "forgotten" man who granted us the mother and father of all our modern technologies and civilisation. Now turn off all the electric power in your home for the moment, sit down, close your eyes and just imagine your life without it! Tesla has never received the Nobel Prize! While many other have received or receive it for less, little or nothing B.S. Every pylon anywhere in the world caries Tesla’s blood, The Electricity, to every office, every factory…every home, your home…to lighten your existence. So next time you see one of these pylons spare a moment to thank the Man who gave it to you. And don’t be a hypocrite, pylons are beautiful. The 2016 is 160 years since Tesla's birth. My new music book "ALONE", featuring notations and arrangements of the music from same title album is dedicated to and marks 160 years since the birth of Tesla and 120 years of the birth of modern civilisation, Niagara Falls and harnessing of Tesla's A/C polyphase system. To watch the video for the book click here. To purchase the book go to our Web Store or click here. 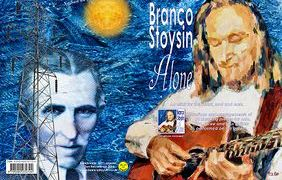 Tesla and Branco in solo-guitar concert, new live video, to watch click here or on video above. Click HERE (The Oatmeal Comics) and watch this amazing "cartoon" about Tesla, probably best readers-digestive around. 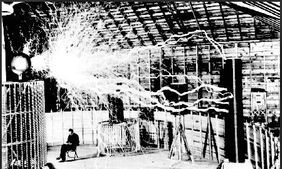 Find all about Tesla in a fun but true-facts way!